Betty Jane Archey Burnett- Age 87, born on December 12, 1929, and passed from this life on Friday, April 7, 2017. 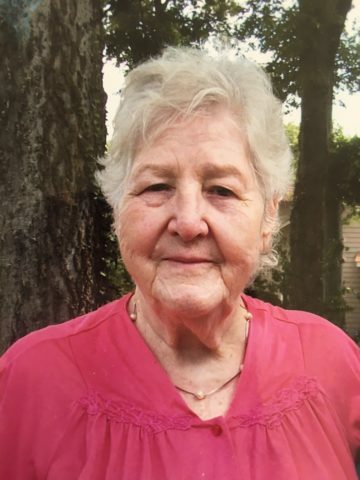 She is preceded in death by her husband of 63 years, Verum W. Burnett, Jr.
She is survived by her daughter, Suzanne Richardson; sons, George and Stevie (Pam) Burnett; a host of grandchildren, great grandchildren and great great grandchildren; and close friend, Joseph Beuerlein. A graveside service will be held on Monday, April 10, 2017, at 10:00am, at Harpeth Hills Memory Gardens, Garden of Chapel Hill East. Visitation will be on Sunday from 1:00pm until 6:00pm at West Harpeth Funeral Home, 6962 Charlotte Pike; (615) 352-9400. Stevie, You had a great mother and she was so kind to everyone. She loved working in her flowers. We are so sad to have just heard about Betty’s passing. Lots of good memories.